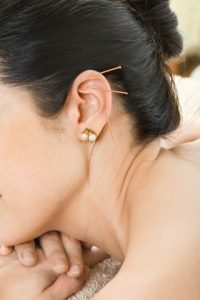 Pregnancy And Acupuncture: Why It Helps | Abarr Lake Chiropractic & Acupuncture Clinic, P.C. When people think about acupuncture, they tend to judge it quite quickly. Sticking needles into your skin, then needles protruding out of said skin, ultimately for an extended amount of time? I think most people would think this is a bizarre treatment method. 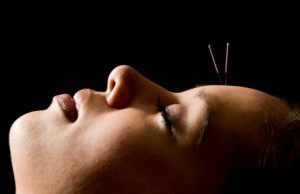 Acupuncture has been used for thousands of years and has treated many ailments within the body. Surprisingly enough, though, it is great for pregnancy. Pregnancy, anyway you put it, is taking a huge toll on your body. You are strained from the extra weight you carry around, experience fatigue, nausea, and ultimately are trying to give life to another human. Women are amazing, but being pregnant is like having a second job. In the first trimester, you may experience frequent bouts of morning sickness. This is never an enjoyable time for expecting mothers. Studies have shown that when acupuncture treatment is targeted at the wrist, it can significantly reduce morning sickness. That is good news for all the soon-to-be mommies out there! Headaches are a common occurrence when you are pregnant. No one likes to be derailed by a headache during their everyday tasks. Acupuncture treatment has been known to relieve this inconvenience, greatly reducing the need to take medication, keeping mom and baby safer. This is very natural occurrence during pregnancy. Your hormones are on full blast, so your moods are all over charts. Acupuncture treatment that is targeted for depression can help immensely with your symptoms and overall help you feel happy during your pregnancy. Near the second and third trimesters, it becomes much harder to get and stay comfortable. Since it will be some of their last nights with a possible good night’s rest, sleep is something soon-to-be mommies crave. Acupuncture can help by restoring the balance in your body. There is so much strain being placed on this part of your body, especially during your third trimester. Your lower back and pelvis start to bec ome a nuisance as your body is working hard to prepare you for the birth of your little one. There is a hormone released called relaxin, and it causes the pelvis to loosen. Add that to all the weight you’ve been carrying around, and you can see why you are in pain. Acupuncture has been shown to notably reduce this discomfort by targeting certain parts of your body. Pregnancy can be a beautiful, and wonderful time in a woman’s life. However, it is a lot of work and it does stress your body in ways you could once hardly imagine. Dr. Reeves wants to alleviate some of the pressure and unpleasant parts of pregnancy through effective acupuncture treatments. We are confident our prenatal acupuncture will help you with many of the symptoms you experience during your pregnancy. While you’re looking into acupuncture, check out all of our other great services, such as therapeutic massage, chiropractic adjustment, and full body treatments. Abarr Lake Chiropractic is a step of above the rest. Schedule a consultation with us today, you, and your baby will be glad you did.